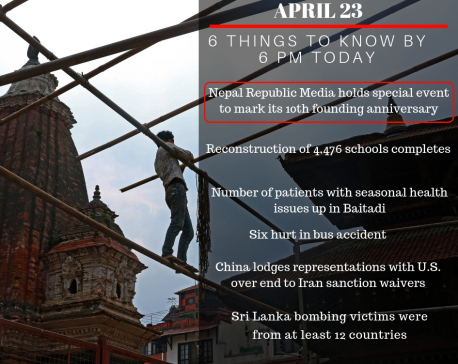 KATHMANDU, Sept 21: The media experts have opined that the journalism should not be controlled and restricted. Speaking in an interaction organized by the Federation of Nepali Journalists (FNJ) on media content, security and crime here Friday FNJ President Govinda Acharya said self-regulation and professional ethics would suffice to monitor journalists, so additional restrictions were not needed. Professor P Kharel said news content could be diverse, while the facts on the news must be tested before dissemination. Similarly, Journalism Department Chief of the Tribhuvan University Chiranjivi Khanal said the personal views of the reporters must not be imposed in the news story. Speaking in the same program, FNJ central member and media content committee coordinator Radheshyam Dahal shared that the program was organized to discuss the problems seen in Nepali media of late.